From better communication to improving team collaboration, Google + Trello offers a best-in-class solution for teams to plan and organize any project. Keep files organized alongside your projects. Collaborate and chat in tandem with your team. Give your meetings a productivity boost. Build a deck from a board in a click. 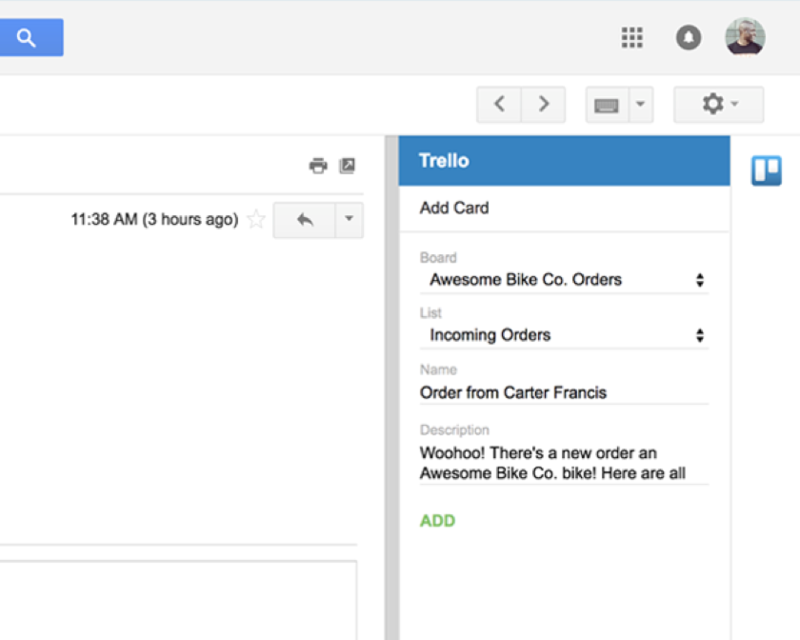 Make emails do things with Trello actions in Gmail. 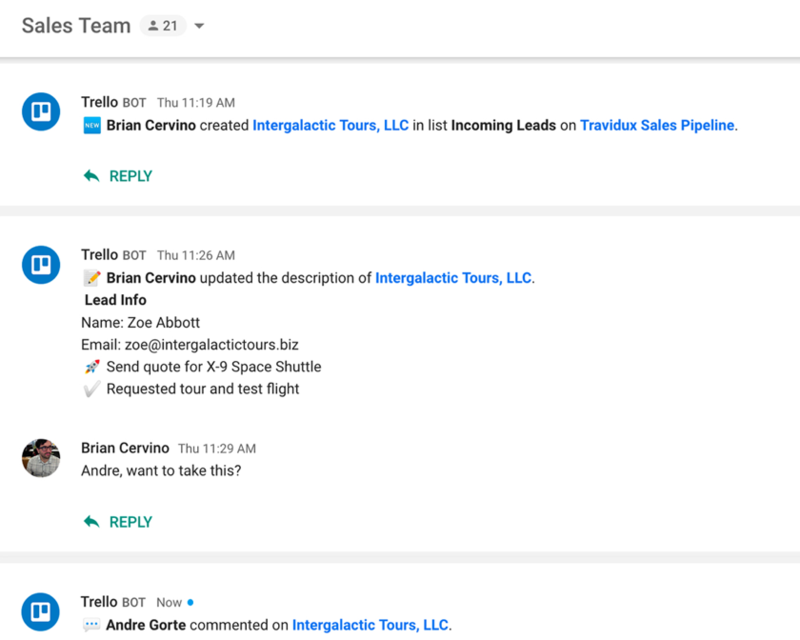 Read below to learn more about how Trello & Google work best as a team. Keep your work flowing. 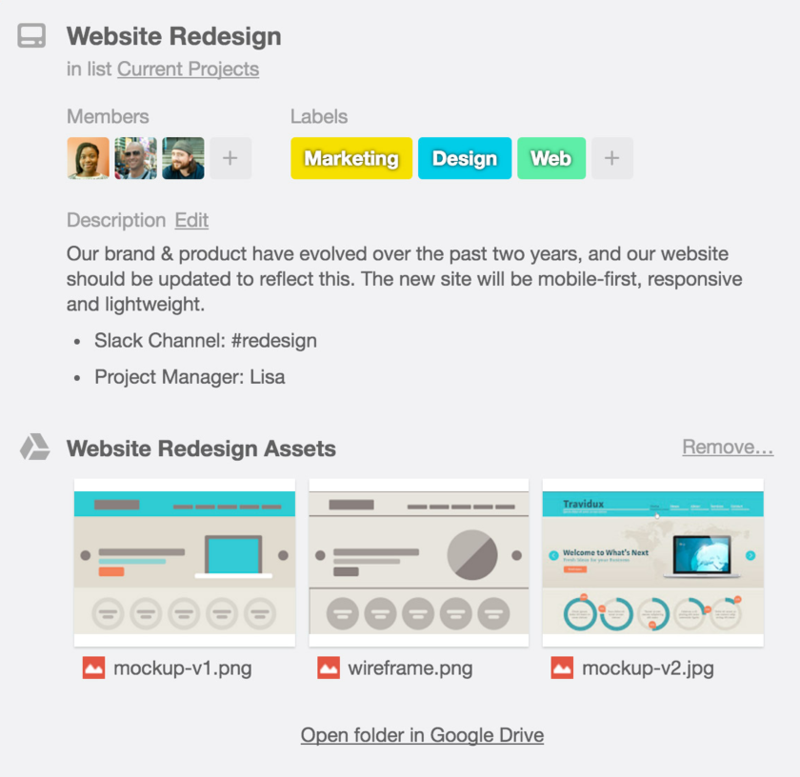 Create Google Docs, Slides, Drawings, Sheets, and Folders directly from a Trello card. Your team will always be able to find what they’re looking for, thanks to up-to-date access where work is happening in Trello. Create a Slides deck from a Trello board in ONE SINGLE click. Your next big presentation will build itself in seconds, organized in order of your board name, lists and their cards. 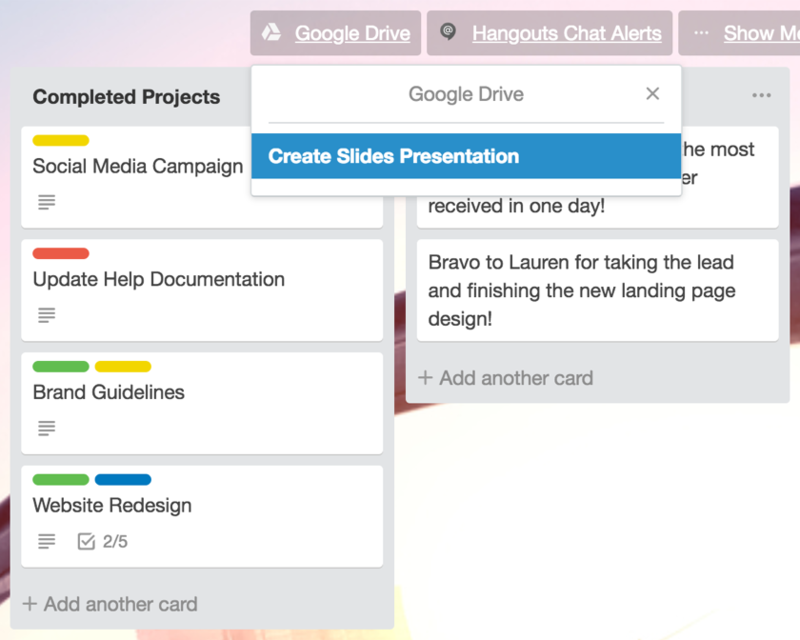 Companies of all shapes and sizes use Trello to work with perspective. Put an end to lost video links and constant meeting setup by adding a dedicated Google Hangout to your team’s Trello board. Plus, get alerts from your Trello boards where the conversation is taking place in your favorite Hangouts Chat channels. Turn emails into Trello to-dos by connecting your inbox to your boards with one handy button. Save time jumping between apps while keeping important information from getting lost in endless email chains. Get started today and enjoy all the benefits of Trello + Google.